You come across this amazing Youtube video but how can you get it and watch it even when you're offline? We list a few simple steps for "downloading" Youtube videos. Credits from this youtube tutorial. Copy the URL of the Youtube video. Open VLC player, click on Media tab and click on Open Network Stream. Select the Network tab and in the box paste the URL, then click Play. Once the video starts loading, click on Tools tab and then Codec Information. At the bottom of the window should be a box labelled Location. Highlight and copy all the text inside the box (ctrl-a + ctrl-c). Open a new tab in your web browser and paste all the text you copied into the URL bar and press enter. Go to Options button of your web browser and select Save Page As. Save the file as a .FLV file. Enjoy your video again and again even when you're offline! In the past year, Google Chrome has been made available for Android, iPhone, iPad and Windows 8 tablets. Chrome is now everywhere! To mark the expansive availability of Chrome, Google has released a new commercial today. The titles are part of the "locked" portion of the bundle, which can be accessed by donating more than that average of previous donations. At the time of writing, the average sits at just $6.75. 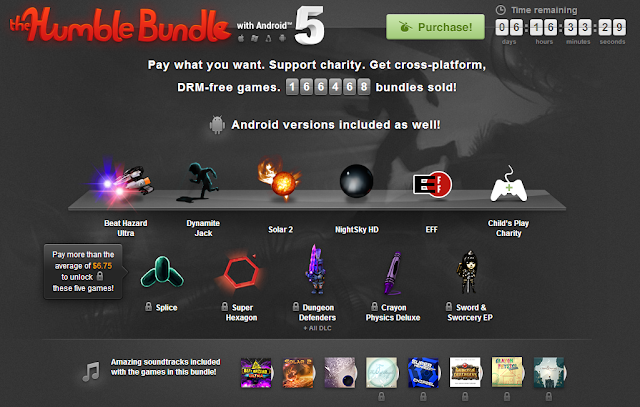 If you were to donate that amount or more, you'd receive nine DRM-free games in total. That's a heck of a deal and worth a look even if you just want a couple of them. So what are you waiting for? Get it now! The Chrome team have just pushed out a new version of Adobe Flash Player and several stability improvements for the stable channel of Chrome. Google Chrome 25.0.1364.172 has been pushed out to users, for Windows, Mac and Linux platforms. The release includes stability improvements and an update to Adobe Flash Player, version 11.6.602.180. The update will be pushed out over the next several days. Kyary Pamyu Pamyu has a brand new song and music video in the form of “Ninja ri ban ban” a colorful eye candy love letter to Japanese culture complete with ninja dance moves, laser battles, and catchy techno hooks composed by Yasutaka Nakata of capsule and Perfume. Enjoy it below!